The much anticipated opening of Mall of Africa has finally arrived! 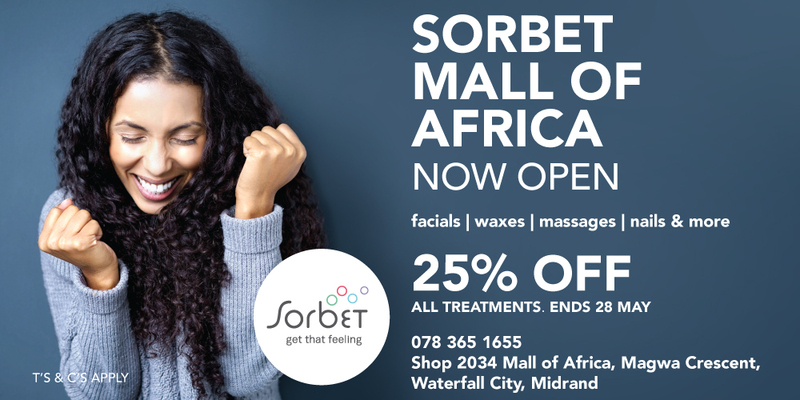 We are so excited to have two Sorbet stores in the Mall. A Sorbet salon and our new male grooming bar Sorbet Man. And the best news get 25% off all treatments. Valid until 28 May 2016.